If you don’t believe in flat roof energy efficiency, consider the history of the design. The Pueblo culture knew what they were doing in the hot, arid climate of the American Southwest. Throughout the world people of warm climates have adopted the architecture of a flat roof energy efficiency culture. Even today visitors to Israel, Mexico City or Los Angeles can see a panoramic view of flat rooftops from any high vantage point. Energy efficiency tips provided by the U.S. Department of Energy (DOE) Energy Saver program describe the “coolest” roof as one with the greatest potential reflective surface area. A flat roof would then be the number one roof with the greatest potential for energy efficiency. 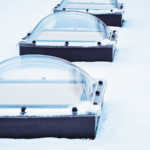 The U.S. Environmental Protection Agency program, Energy Star, explains that reflectivity is the number one energy efficiency feature of any roof. By adding a reflective coating, a flat roof can further increase its already phenomenal energy efficiency. Less demand on air conditioning. Improved condition of indoor space not equipped with air conditioning. Reduce urban heat island affect, contributing less heat to the surrounding outdoor environment. Although it is wonderful for individuals to experience the improved environmental conditions and savings of a well-designed flat roof, it makes a greater contribution than most people realize. By reducing overall energy demand within a structure, a flat-roofed building is making less of a demand on the power grid, particularly during peak usage hours. This transforms a person enjoying the benefits of a flat roof into a good neighbor. By reducing demand on the local power grid, you are helping to lower the risk of power outages caused by excessive demand. The benefit is even more far-reaching. Those who live with, or work under, a flat roof are also better global citizens. By reducing demand on the local power grid, power plant emissions are also lowered. This means a reduction in pollutants like carbon dioxide, mercury, nitrous oxide and sulfur dioxide. Flat roofs can help save the world. The Taos Pueblo, built around 1350, is a famous landmark memorializing the ancient flat roof architecture of the Pueblo Indians. The National Archaeological Museum of Athens is a modern flat roof structure inspired by the common style adopted by ancient Greece. Numerous Greek and Roman temples feature flat roofs. Snug underneath your own flat roof, you will be in good company. 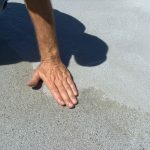 To get the maximum potential of energy efficiency out of a flat roof, it is important to select the right coating. 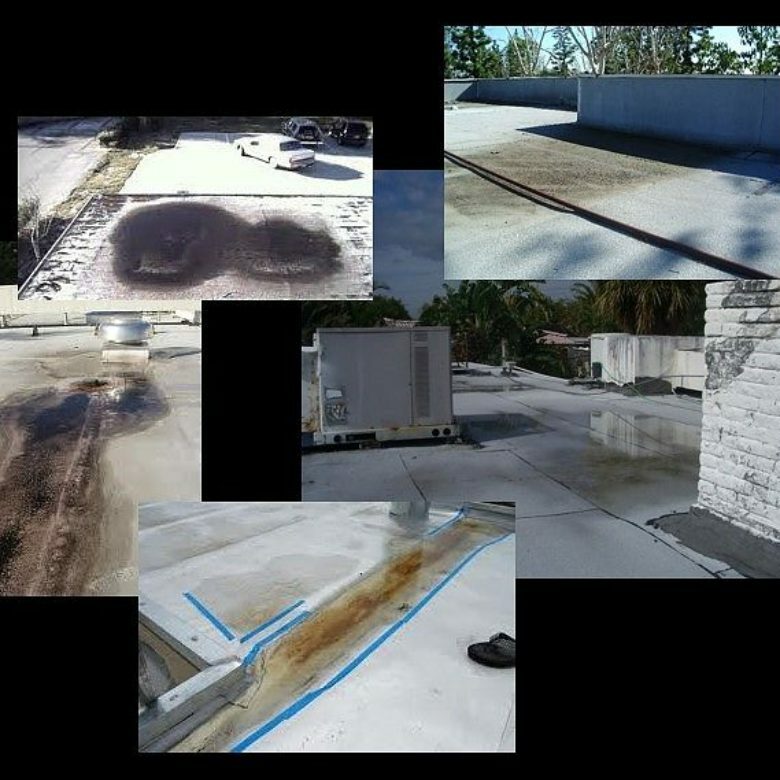 Coatings offer cost-effective ways to solve a number of roofing issues while at the same time improving energy efficiency. Increase lifespan of roof with a durable, protective barrier. Reduce repair cost for water damage with a water resistant membrane. Multiple layers can build-up areas to solve water ponding problems. Options, such as adding aggregate substrates, further enhances the strength and durability of a roof while also adding a further insulating barrier. With color options that will customize a roof to match any structural aesthetics, there is no lack of appeal for a flat roof coating. The application process is relatively easy requiring only one quick-drying coat, providing protection in less than an hour. Final curing takes only 24 hours and then full benefits of enhanced energy efficiency can be enjoyed. Our team of skilled experts have experience with the latest roof coating products. 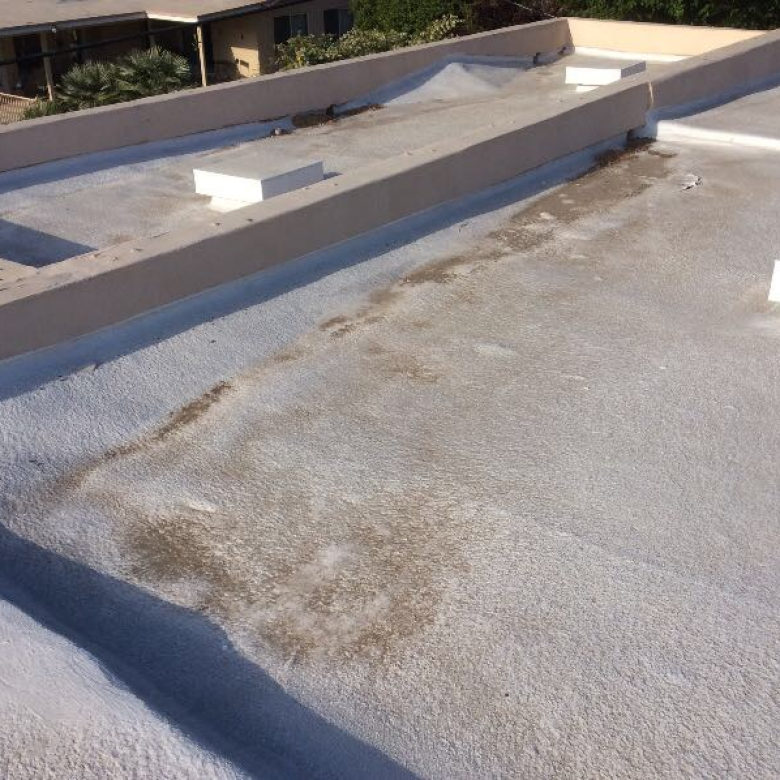 Fortunately, we have an outstanding product that can correct drainage problems by filling in low spots on a flat commercial roof. To learn more about our products and services, please contact us.